For any who excuse the team for not having won a game this year because they’ve only played in “friendly” exhibitions, please explain why elite teams win most of their friendlies. In other words, if we want to be an elite team (aka win a World Cup), we should start demanding more wins, friendly or otherwise. That said, the U.S. will have a tough time getting their first win of the year from their next game. They play Spain on June 4 at Gillette Stadium (4:30pm Eastern, ESPN). After that, it’s on to the lovable Gold Cup, where they meet Canada (June 7), Panama (June 11), and Guadeloupe (June 14) in the opening round. 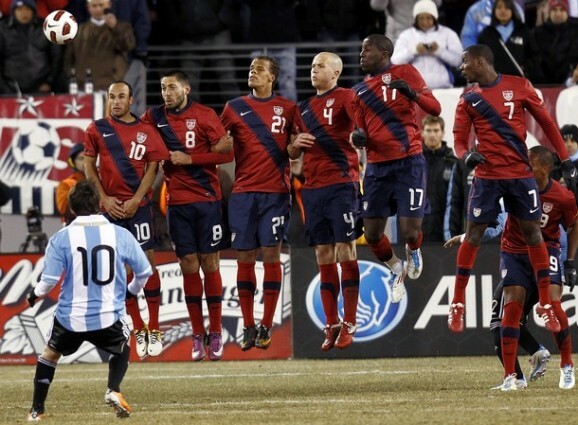 So far this year, the U.S. have drawn with Argentina and Chile while losing to Paraguay at home. Slightly worse than we finished last year.